Everyone in your household should know where the main water shutoff valve is, The Handyguys discuss why. Disaster averted. One of the Handyguys got a call from someone at home about water leaking out from the cabinet under the kitchen sink. Obviously this isn’t normal. With no handyguy around do the members of your household know where to shut off the water? Some valves are hard to turn, some may be blocked by junk. Would the person at home even know which valve to shut off? Remember, lefty loosey, righty tighty. That confuses some people but is easy to remember. When looking at a valve its counter clockwise to turn it on and clockwise to turn it off. The best kind of valves only require a quarter turn to shut them off and have a handle indicating the direction. 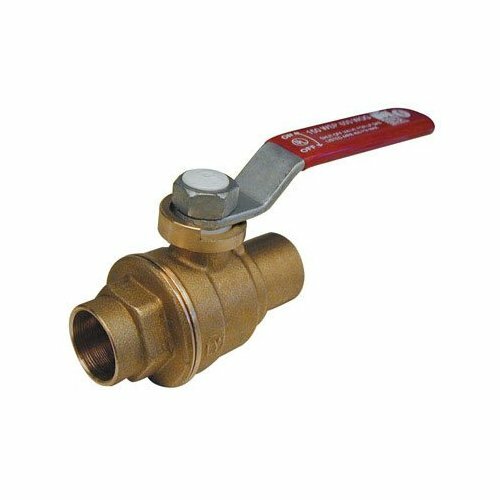 Another good tip with ball valves, when the handle is parallel to the pipe its on, when perpendicular to the pipe the valve is off. Listen to the show to hear how disaster was avoided by knowing where to shut off the water and then what the simple fix was for the leak. Thanks for yet another great podcast. I completely agree with those moment under stress/ distress, when you can’t remember the easy things. Keep up the great work! One of the first things we we moved into our house was to locate the water shutoff, and show the wife. I have even “tested” her just to make sure she remembers. When I was working on replacing the fixtures in my bathroom and had to cut into the copper pipe, I asked her to turn the water off without reminding her where it was. Did it without a question! Mine is actually a gate valve. The home is about 20 years old, I don’t know if there is a general rule to use the ball valves now or not. A gate valve handle may either be round, or a star/honeycomb crisp type look to it. It will take plenty of turns to shut if off, much more than a ball valve. Yup – Gate valves are fine. As you said, takes more turns to shut it off. Ball valves are more convenient but I do not know if any specific requirements to use them. Thanks for commenting.